Robert Quintero Offer valid on orders placed through 11:59 p.m. EST on 4/23/2018 in the U.S. only. 20% off excludes Outlet products ending in $0.97, monogramming, charitable donations, taxes and postage and handling charges. Free Shipping applies to standard ground, in-home, and truck charges within the contiguous U.S. Excludes expedited delivery and oversized handling fees. 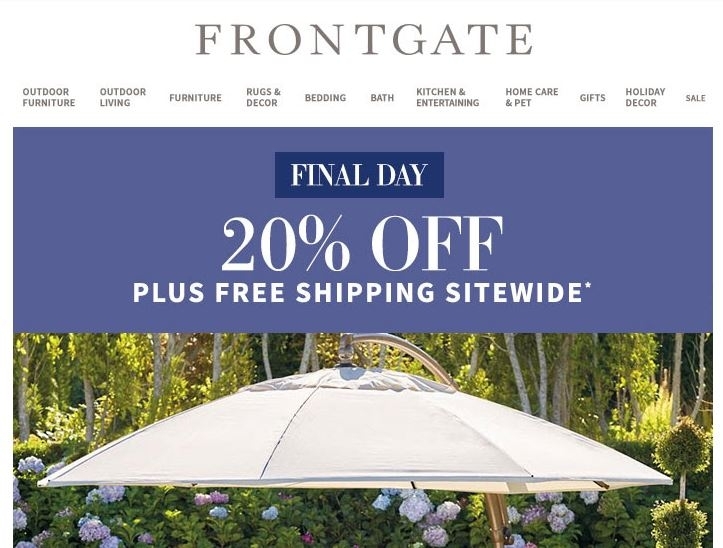 Other exclusions apply; visit frontgate.com/exclusions for more details. Offers cannot be combined with any other special offers or incentives; not valid on gift cards, gift certificates, previous purchases or replacement orders. 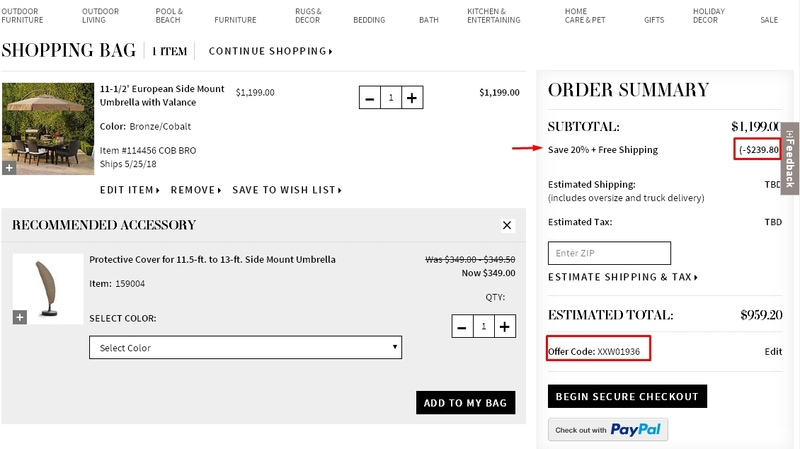 Discount is shown in cart. To order, use Offer Code: XXW01936.